I’ve been on a handful of cruises on Richmond’s Canal Walk downtown, but only one with a $10,000 camera on my shoulder. They are always entertaining, but I think I finally found my favorite guide. 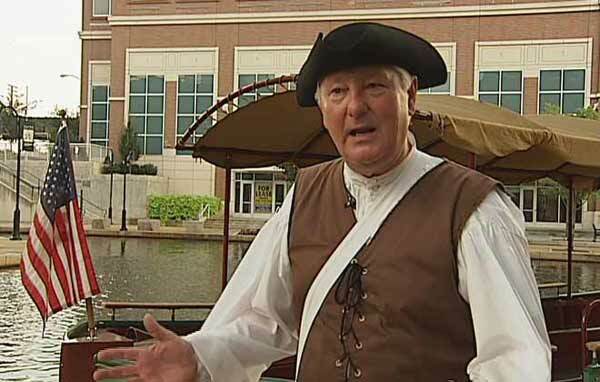 Reporter Danielle Wilson did a fun 12 About Town story for NBC12.com on the canal cruises that are offered throughout most of the year. The guide for our tour Chuck Renfro, or “Cotton” as he’s better known. He has been a guide with Richmond canal cruises since they began 11 years ago. Cotton is best guide I’ve had yet. He was entertaining and full of fun history facts and he even dressed for the part. Other guides I’ve had were knowledgable and full of facts too, but Cotton was hitting his history with exact dates, quizzes for the passengers and his presentation was full of energy. We were there on a Saturday night from 4:30 to 7 p.m. and the tours were packed on every run. The one thing I noted was that most everyone showed up just for cruise and left. Some people milled around on the canal before or after the tour, which brings me back to my wish there be something to do or a vendor of some type to take advantage of the crowds. In late August, I met with Lucy Meade of Venture Richmond at a dinner at Morton’s hosted by Richmond.com to discuss the James River. 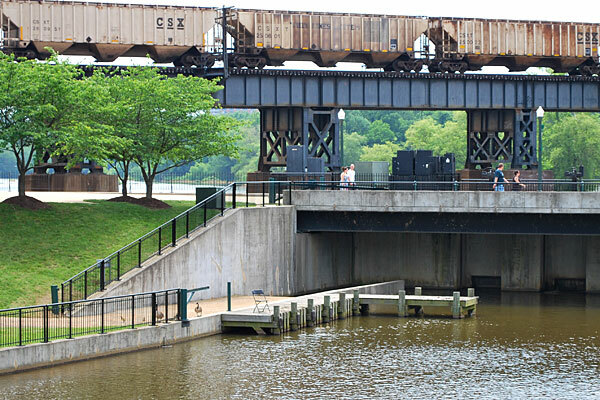 We got off-topic at one point, talking about the Canal Walk, which is under Venture Richmond’s control. 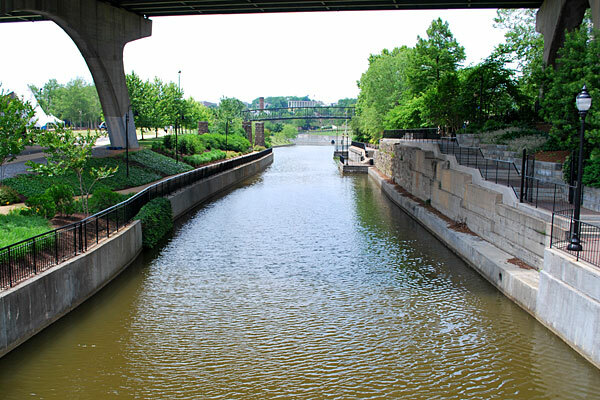 Meade mentioned that the first comparison most people want to make for Richmond’s Canal Walk is the River Walk in San Antonio, Texas. Her point was that for anyone that wants Canal Walk to be a thriving, bustling retail and restaurant hub in Richmond like River Walk is for San Antonio, it should be noted that it took nearly 40 years for River Walk to develop and gain acceptance as a tourist attraction. She said that organizers in San Antonio tell her it was more like 80 years in the making. 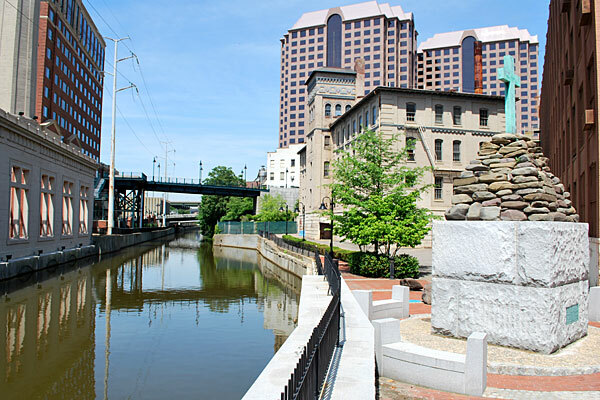 The work to create the Canal Walk in Richmond was completed in 1999 and many people are becoming impatient with the process of developing a consistent entertainment draw. I wrote about this in early August after a rezoning decision was made for the Reynolds Plant that bisects Canal Walk and have continued to follow developments. The Canal Walk and surrounding areas are jewels that many cities lack. The riverfront undoubtedly holds the potential to host great community spaces for residents, outdoorsy types, buskers, vendors, singles, couples, families, cosmopolitans, professionals, students, and tourists alike. A majority present were City of Richmond affiliates, developers, or business owners. Who else gets up early on a Saturday morning for a three hour public meeting? However, the most vocal participants were Bottom residents, or interested citizens–an estimated 12 total. 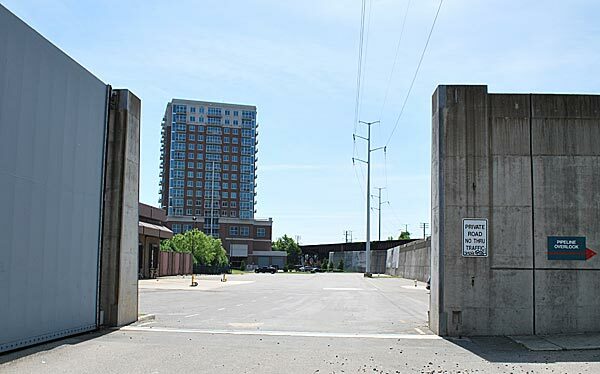 A developer of the soon-to-be 225 apartments at the former Reynolds site, long the obstacle impeding cohesion along the Canal Walk, was in attendance taking notes. I will have to side with Venture Richmond’s Meade and just practice patience. 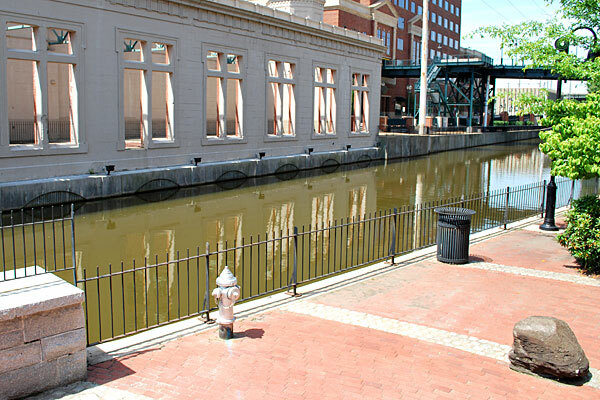 Richmonders don’t like to be pushed into anything new, even if the “new” thing is something that was old, like the canal. Richmond is blessed with many philanthropic treasures that give its citizens and tourists places to celebrate our love for the city. 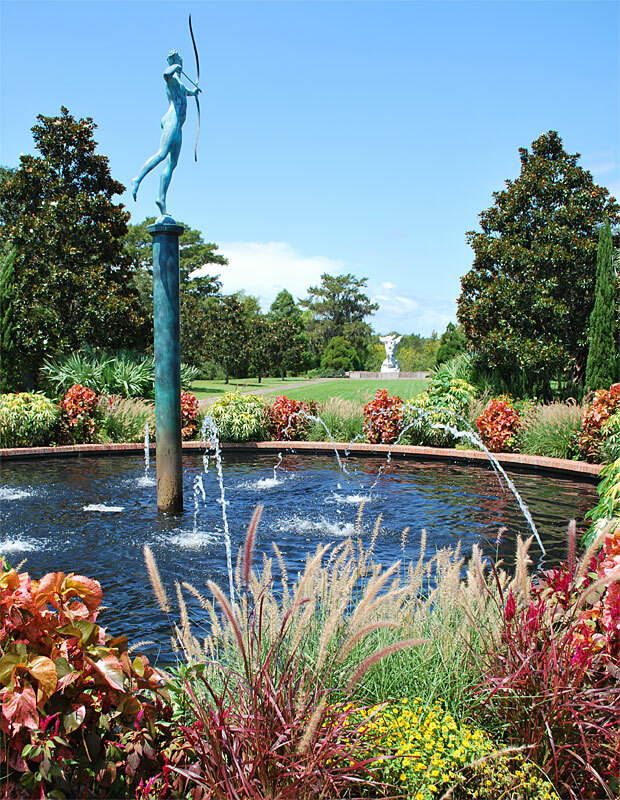 Two of the best examples can be found among the natural and cultivated beauty at Lewis Ginter Botanical Garden and Maymont. Grace Arents donated the land for the 25-year-old botanical gardens after it had been left to her by her famed philanthropic uncle, Lewis Ginter. Maymont was given to the city by James and Sallie Dooley and opened as a park in 1926 and has been a jewel in Richmond’s crown since. 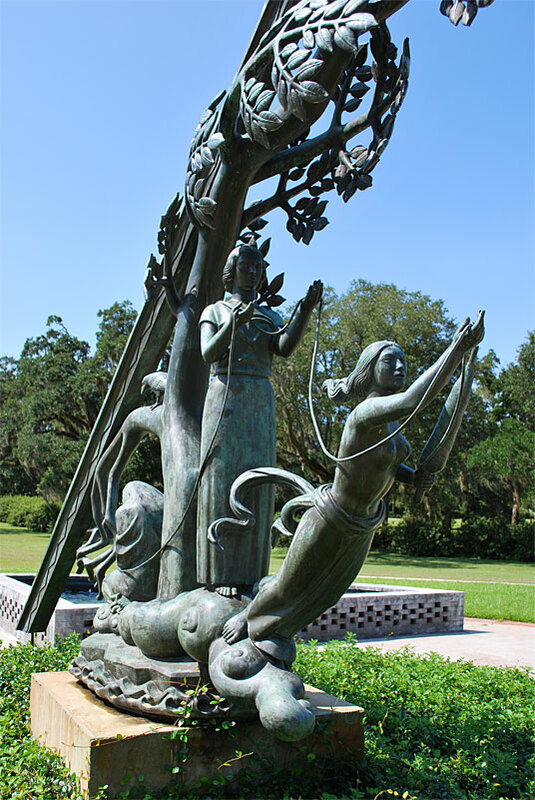 On a recent trip to South Carolina, I experienced Brookgreen Gardens, which boasts one of the world’s largest outdoor sculpture gardens. The grounds are carved from several old plantations and combine the best of the flora and fauna found at the 80-acre Lewis Ginter Botanical Gardens with the expansive grounds, natural serenity and native animals found among the 100 acres at Maymont. 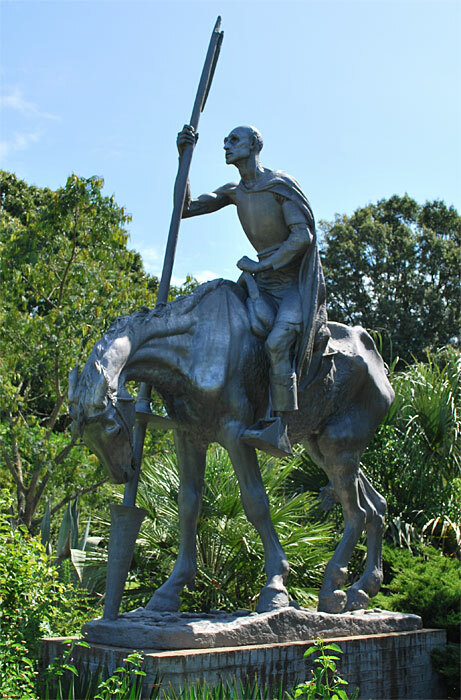 Combine the best of those two with the entirety of Richmond’s sculptures and you may approach the bounty found at Brookgreen Gardens in Murrells Inlet in South Carolina. 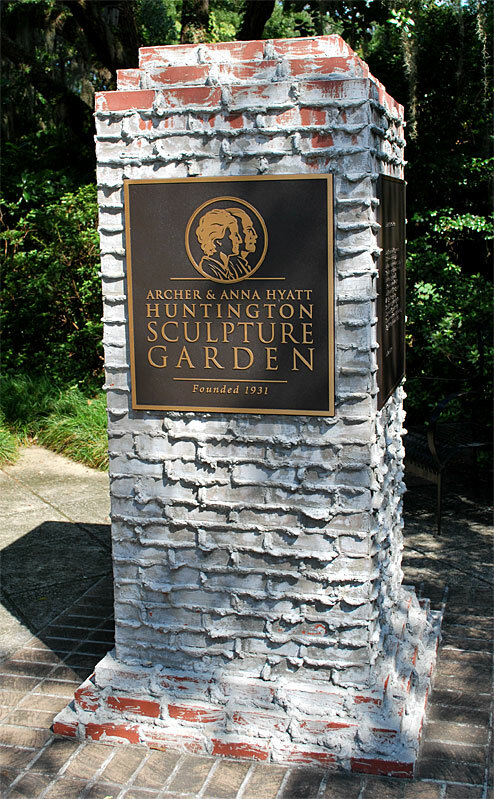 It was created by philanthropists Archer and Anna Hyatt Huntington — a famous sculptor in her time — in 1931 as the first public sculpture garden in the United States. 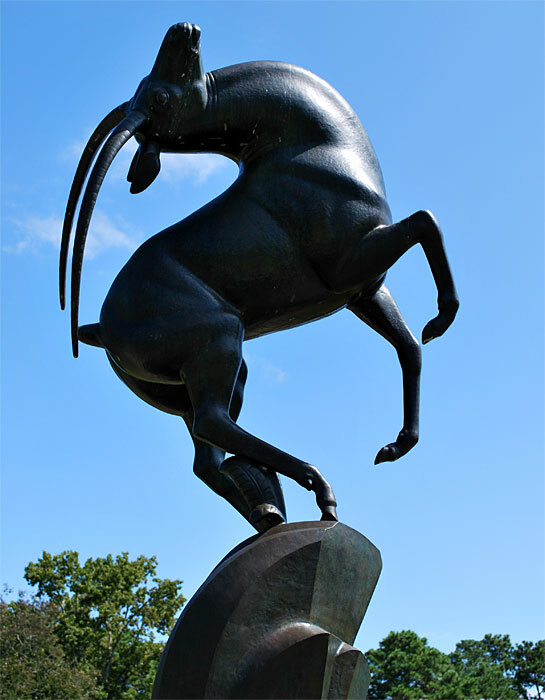 The National Historic Landmark contains more than 1,200 works of art from 350 sculptors spanning the early 1800s to the present. 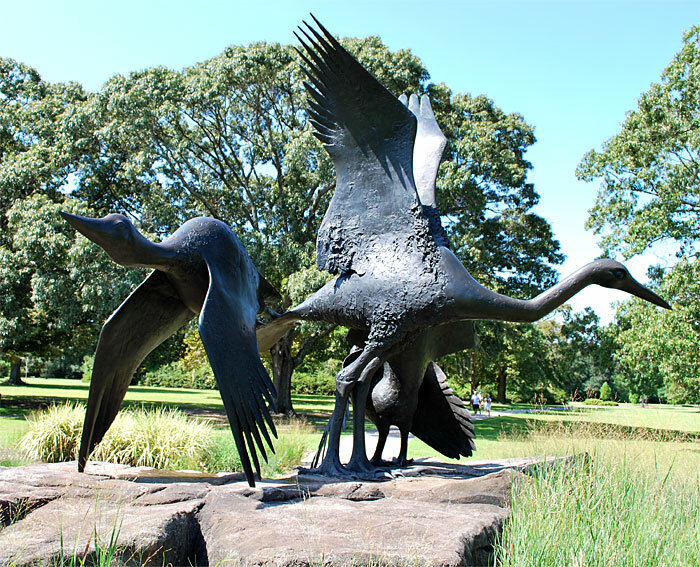 The sculptures are placed in more than 50 acres of gardens and landscape settings and more than 300 acres of gardens and facilities, featuring more than 2,000 species of native plants, native wildlife, historical and cultural exhibits and tours and excursions. 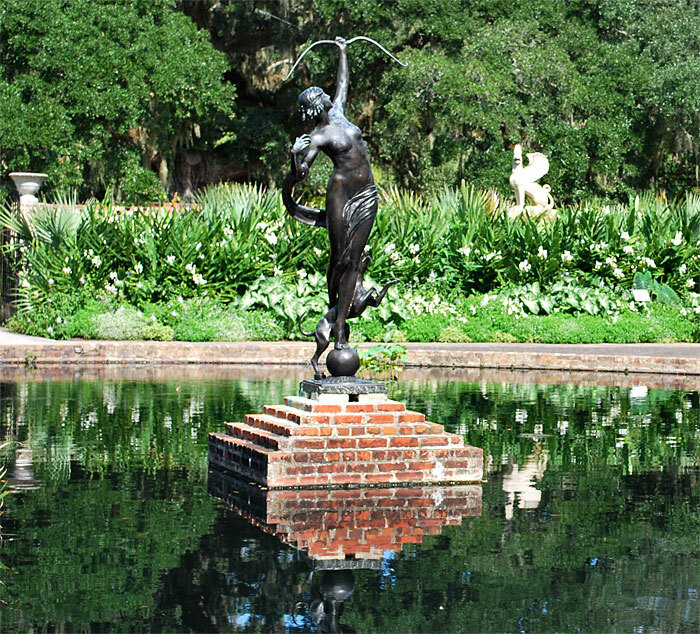 The gardens are heavily shaded by hundreds of southern live oak draped in Spanish moss – which on their own are natural works of art. There are at least two sections of the garden planned specifically around allees of live oak and there may not be a more appropriate garden accessory in South Carolina than the beautifully twisted, hulking seacoast hardwood. There are also hundreds of magnolia, cypress and dogwood trees throughout the gardens. Walking the grounds is encouraged and lovingly worthwhile, but to see every area of the garden and study all of the sculptures could take all day. Just the main gardens could take hours – there is so much to see. 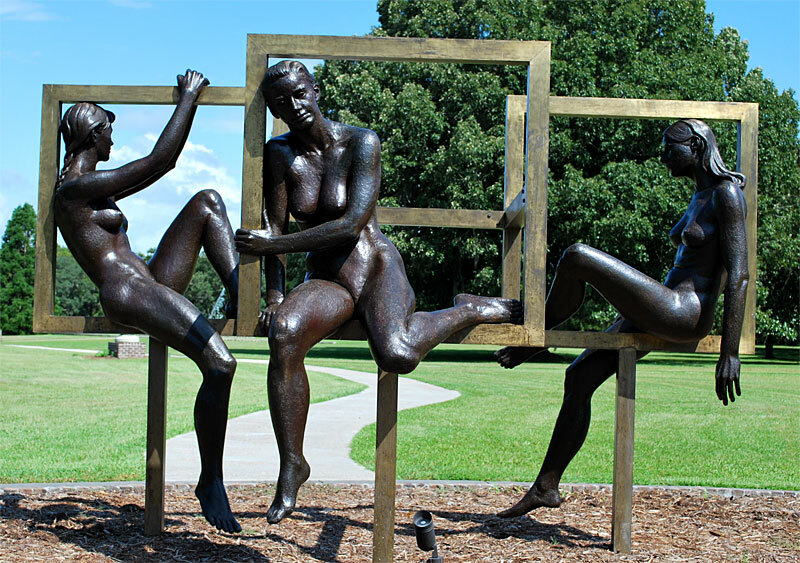 “Youth Taming the Wild” is a striking welcome for visitors long before they reach the welcome center. It rests on a peninsula in the center of a bricked in pond encircled by a walkway. The distance from the gate to the gardens is more than a mile, so of course one may need a rest stop before taking on the rest of the garden. 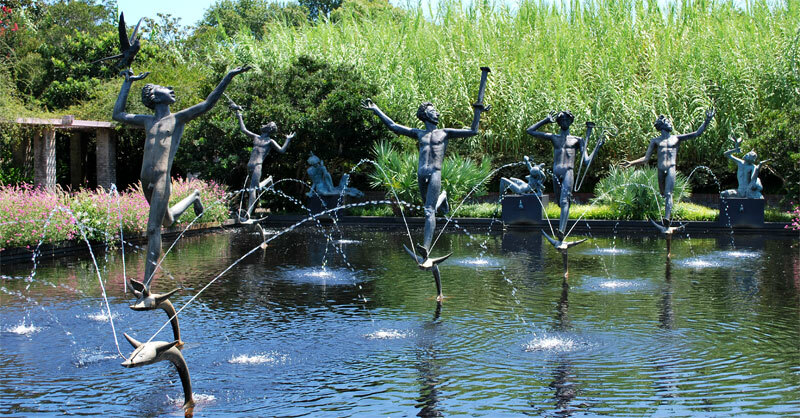 “Fountain of the Muses” might be my favorite display. The odd characters combined with the catfish fountains, the bricked terrace and the garden features surrounding the sculpture are delightful. 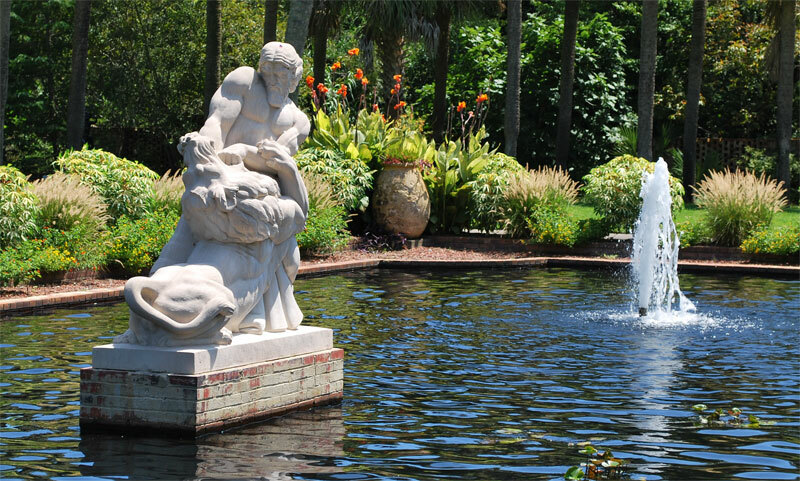 The Lowcountry Zoo has animals native to South Carolina, such as river otters, alligators, foxes, deer, owls, hawks, bald eagles and wild turkeys. Overall, the zoo is very comparable to Maymont’s Children’s Farm, Nature Center and wildlife habitats rolled into one. It also has at new Butterfly House, which opened in spring of 2010. 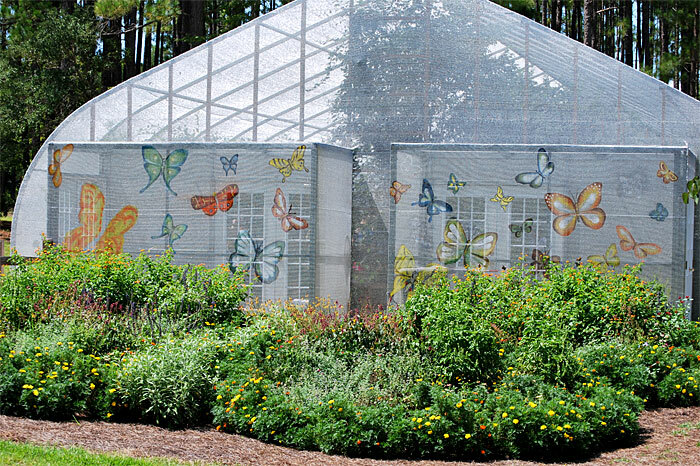 It reminded me of when Lewis Ginter hosts the “Butterflies Live” exhibit in its Conservatory. 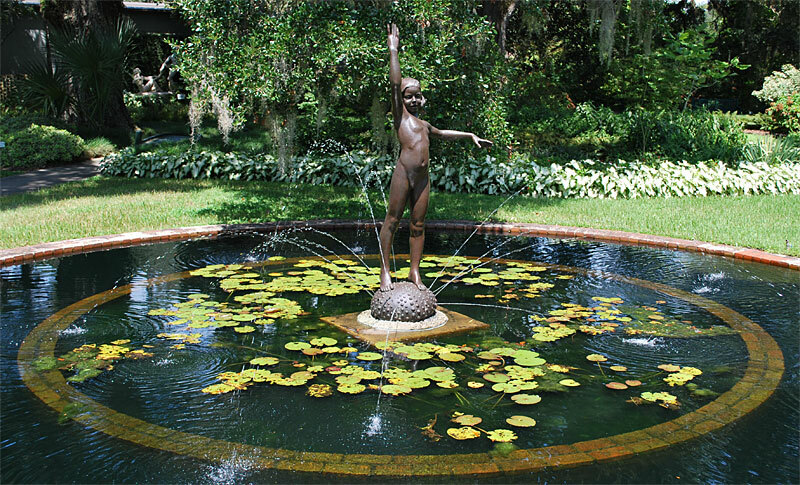 The Huntington family left more than 9,000 acres of land in the area between the Waccamaw River and the Atlantic Ocean to be protected from development, including Brookgreen Gardens, Huntington Beach State Park and the Oaks Plantation. 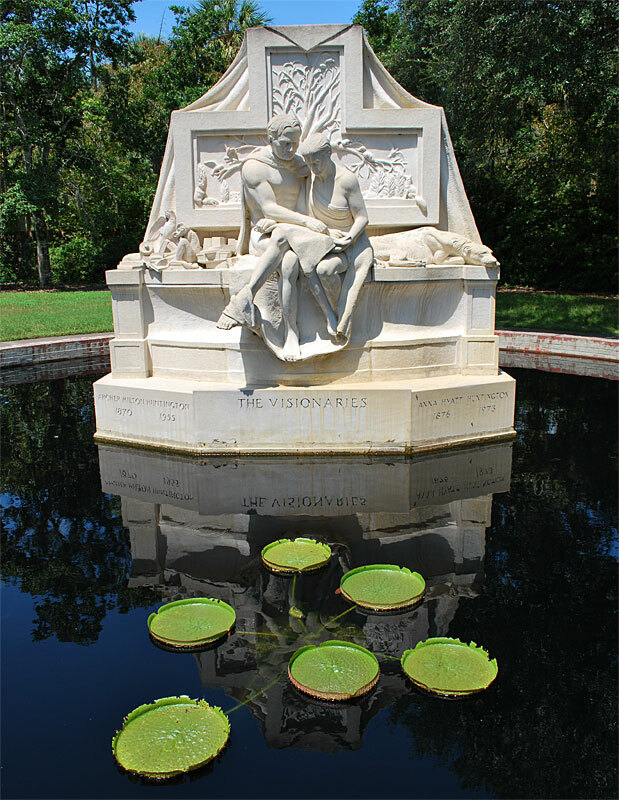 Another statue, “The Visionaries” by Anna Hyatt Huntington shows that the Huntington family were proud of their contribution. She portrayed her husband and herself allegorically, expressing the timelessness of their contribution to the arts and the environment. I’m not knocking Lewis Ginter Botanical Garden or Maymont. I love them and Richmond should be thankful and proud that we have them. 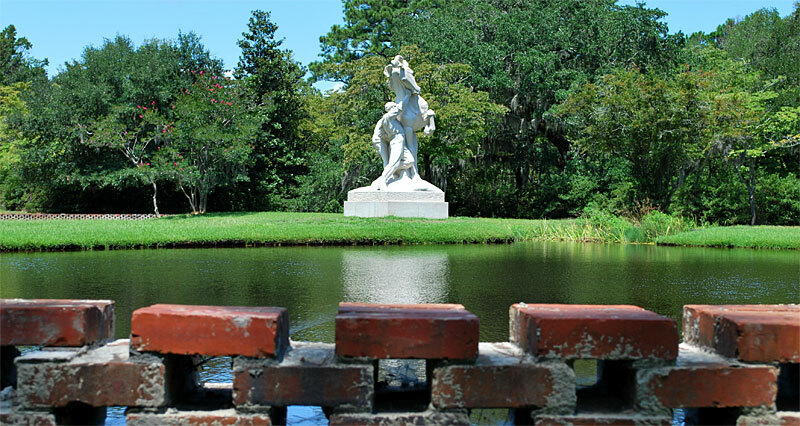 It’s just that Brookgreen Gardens is so mind-blowingly large in its scope, beauty and largesse that any city’s gardens would pale in comparison. Hats off to Mrs. Huntington, who planned and contributed to the gardens for more than 40 of her 97 years. 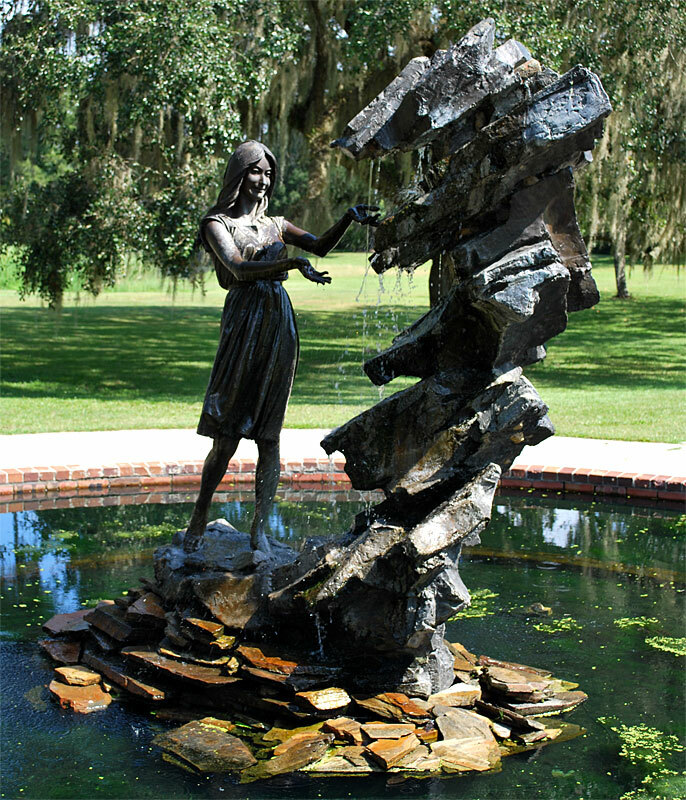 Brookgreen Gardens is located along the Grand Strand on U.S. Highway 17 between Myrtle Beach and Pawleys Island. It is about 30 minutes south of Myrtle beach and an hour north of Charleston. 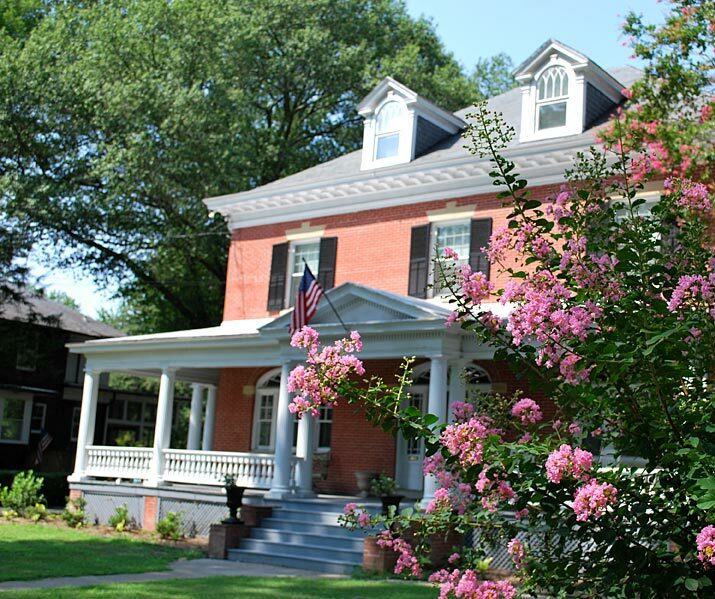 I’ve considered myself a Northsider for the past decade and have always been fascinated with the homes, architecture, retail, parks and especially the excellent urban forestry in the distinguished Richmond neighborhood. 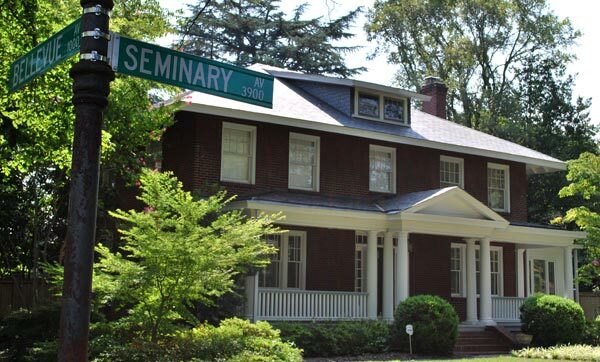 Bill Martin, the director of the Valentine Richmond History Center, conducted a two-hour tour of the quaint, mostly middle class Bellevue neighborhood in Richmond’s Northside. At any given time, there were at least 60 people along for the walk, as neighbors joined or left the procession that followed at path from MacArthur Avenue to Bellevue Avenue to Seminary Avenue and back on Claremont Avenue. Martin said Richmond is still living with the legacy from the 1890s when the city’s suburbs began to develop along the privately owned trolley lines that stretched into the Northside with neighborhoods like Ginter Park, Barton Heights and Highland Park. Development of the Fan District and Monument Avenue and areas south of the James with Woodland Heights and neighborhoods surrounding Forest Hill Park happened in this same period. Many remnants of that period still exist, such as the concrete polls along Hermitage Road that were used 100 years ago to support the lighting and electric lines that powered the street cars. “It was a period of massive growth for Richmond as an industrial giant,” he said, noting that many of the homes in Bellevue were “smaller Craftsman-style homes” that fit the needs of the workers in Richmond’s factories and downtown industry. Tobacco magnate and famed Richmond philanthropist Lewis Ginter is usually the first person most people associate with the creation of the Northside, but he died October 1, 1897, and wasn’t alive for most of the actual development and construction of the neighborhoods. “Ginter was just like everyone else, speculating on real estate,” Martin said of Ginter’s interests in helping develop the Northside off the trolley line that ran from Richmond to Ashland on Brook Turnpike (now Brook Road). He added that Ginter was late to the party and missed on the big wave of development in that period of Richmond’s history. “People wanted to get out of downtown,” Martin said, suggesting that white flight and the desire to escape the hustle and bustle of urban living was the trend. There was a large movement to erect parks and monuments to Confederate and civic heroes in Richmond in the 1890s and early 1900s, and the impetus for this was for them to be a draw to the suburbs. Some of the key monuments erected in this time were General Robert E. Lee (1890) and Major General J.E.B. Stuart and Jefferson Davis (both 1907) on Monument Avenue. The Fan District saw monuments to General Williams Carter Wickham (1891) and the Richmond Howitzers monument (1892) and Church Hill gained the Confederate Soldiers and Sailors monument (1894). Besides the monument to General A.P. Hill (1892) in the intersection of Laburnum Avenue and Hermitage Road, the Northside didn’t have many draws. Ginter’s created the Lakeside Wheel Club (near where Lewis Ginter Botanical Garden now sits), which brought in many people who could ride the trolley cars and spend the day biking and playing in Lakeside. He also provided land for the move of Union Theological Seminary to Richmond from Hampden-Sydney. The Northside escaped the destructive path of interstates 95 and 64 that cut off or bisected many other neighborhoods north of downtown — like Jackson Ward, Barton Heights and Highland Park. Jackson Ward, a historically influential and stable black neighborhood, lost 10 percent of its homes during that highway construction in the 1950s. “Transportation planning has long-term effects on our neighborhoods…Northside escaped relatively unharmed,” Martin said, adding that at one point the Interstate 95 was planned further east, through the heart of the area, but residents were able to fend it off. Bellevue remains largely intact and has had little destruction or redevelopment in comparison to most Richmond neighborhoods. Martin encouraged tour participants to chime in with their knowledge of the neighborhood and there were several funny comments along the trip. He got in a good jab, describing the treeless landscape of the Northside at the beginning of its huge period of growth around 1900. “When you think of this neighborhood, there were no trees, no features…it was like being in Short Pump,” Martin said in his comparison, poking fun at current state of the unapologetic sprawl in that area of western Henrico County. He told another story about how MacArthur Avenue got its name. The city had to rename many streets to avoid duplication, and after going through many changes through the years, the avenue finally was renamed for World War II hero General Douglas MacArthur. That provided the opportunity for many people to “complain that Richmond wasted a good name” on such a small, relatively insignificant street. 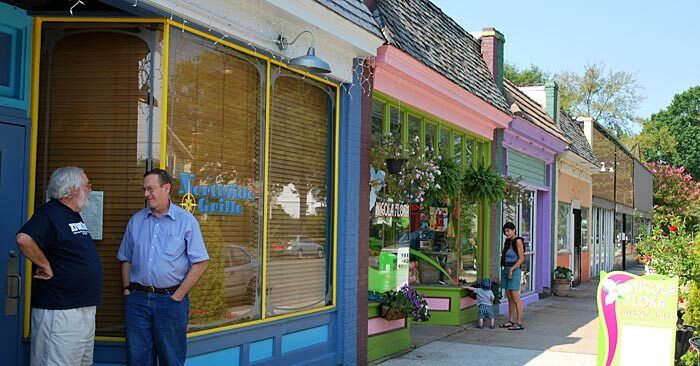 Of course today, the street is still doing well, with a good variety of neighborhood shops and restaurants, including the well-know Dot’s Back Inn and Bellevue staples Stir Crazy Café, Once Upon a Vine and Zorba’s Pizza. There are several shops and restaurants around the corner on Bellevue Avenue as well. 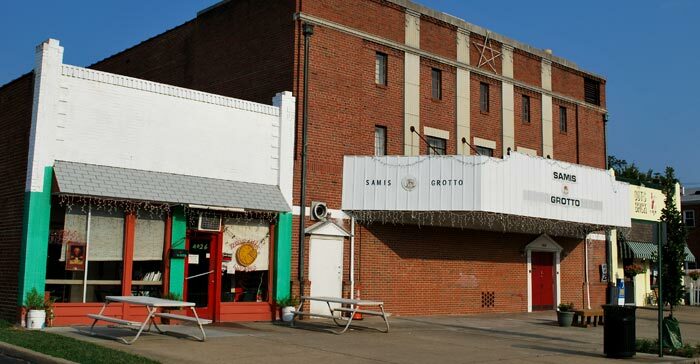 “Part of the reason the neighborhood did well [as a developing suburb] was the access to modern retail,” Martin said, speaking about the former Azalea Mall and the dozens of neighborhood grocery stores (notably A&P) and small businesses that were dotted throughout the Northside. Another good tidbit came from a Bellevue resident who said she loved her “house with personality that new homes just don’t have.” She described her neighborhood as tight-knit and that everybody has always been so kind, friendly, helpful and generous. The Bellevue tour was the first I’ve taken with the Valentine Richmond History Center outside of the immediate downtown Richmond area and it was very worthwhile and informative. If you have interest in taking any of their wonderful tours, see www.richmondhistorycenter.com. The Bellevue neighborhood extends north from Ginter Park to the city limits along Westbrook Avenue. 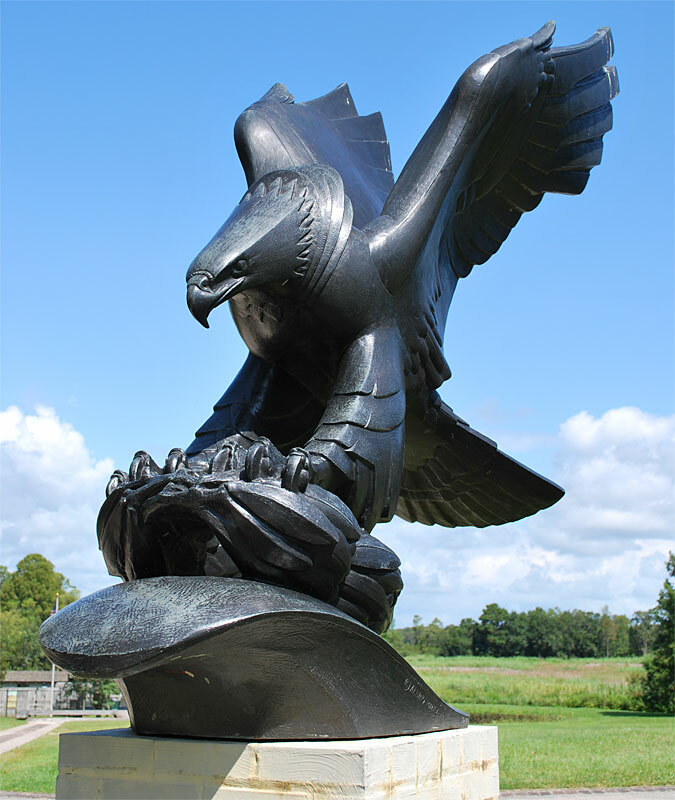 Originally part of Henrico County, the area was annexed into the city in 1940. 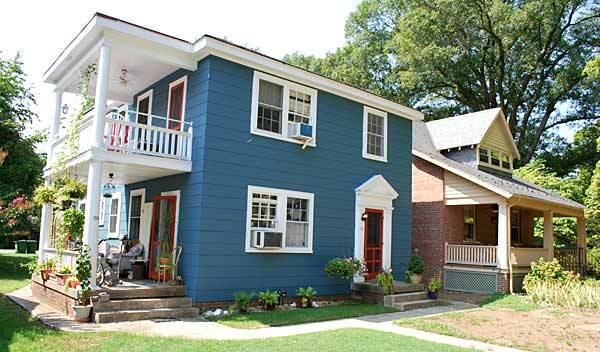 The houses in the community vary in size from small dwellings to spacious homes. Cottages and bungalows abound with many featuring large windows, wide porches and verandas. The architecture ranges from Italianate to Spanish with tile roofs to American Four Square. 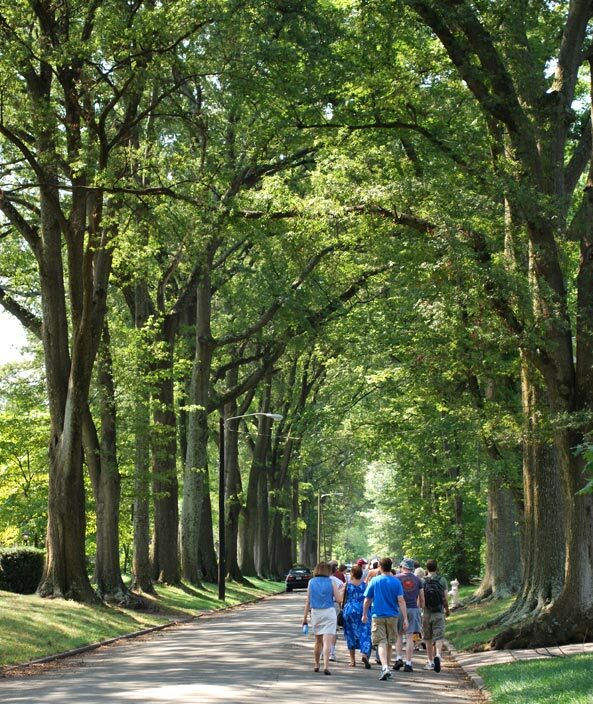 Roads lined with shade trees curve and meander through the neighborhood. Will the Canal Walk ever become a tourist hub? It has been more than 10 years since the completion of the Canal Walk and while beautifully landscaped walkways may have replaced the abandoned wasteland that frequently hosted bonfires set by Richmond ’s homeless, the promise of the area remains unfulfilled. 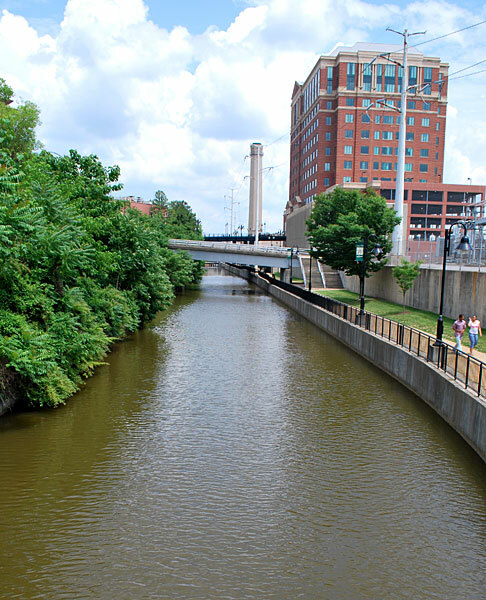 The Canal Walk is a 1.25-mile greenway that connects Tredegar Ironworks to 17th Street in Shockoe Bottom. It features a series of markers and signs that interpret Richmond ’s history and provides a link to many of downtown’s best attractions. And while there has been some commercial development, it hasn’t developed into a tourist hub. Last week, Richmond City Council unanimously approved a special-use permit to relieve some zoning requirements for a development proposed for the 6-acre Reynolds Packaging Group’s North Plant property along the Canal Walk at 12th and East Byrd streets. WVS Cos. and Fountainhead Development LLC plan to build more than 225 apartments in a mixed-use development that should remove the Canal Walk’s biggest roadblock. 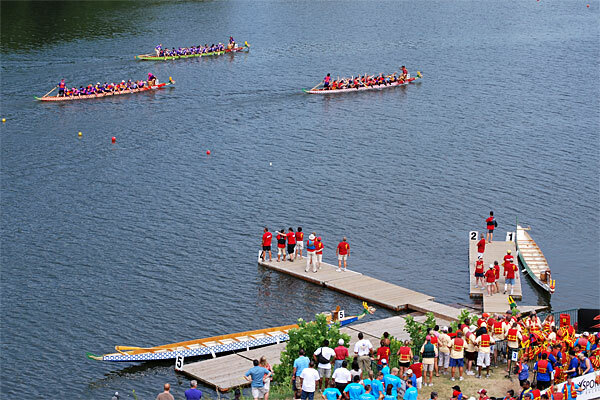 Richmonders just acquired one more great reason to love living in the River City: Dragon boat racing at Rocketts Landing. The heat was a factor as shade was hard to come by Saturday, but the Richmond Sports Backers teamed up with several sponsors to bring the first Dragon Boat Festival to the James River. It was a charity event for the Virginia Breast Cancer Foundation. It was fun, active and brought many Richmonders out to a part of town that probably most had never seen. 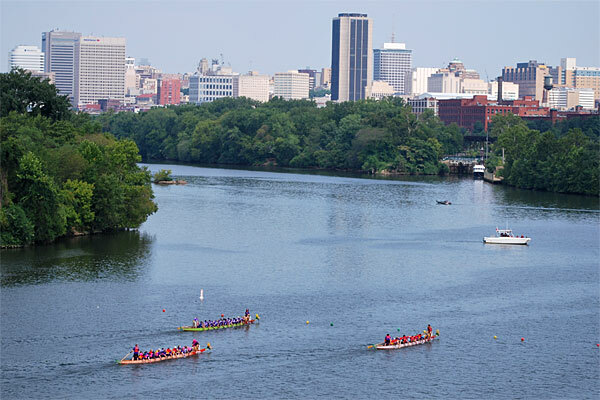 The crews mostly consisted of corporate teams from around Richmond, but there were also “ringer” teams from cities like Baltimore, Washington, D.C., and Charlotte. 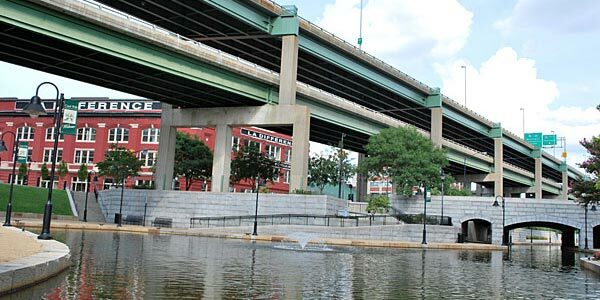 Great for Rocketts Landing and the Shockoe Bottom area to have so many people having a great time. Twenty paddlers move in unison, combining strength with teamwork in a boat whose elaborate design originates in ancient China… Dragon boats are 40-foot human-powered canoes decorated with ornate Chinese dragon heads. Led by the rhythmic beat of a drum, teams consisting of 20 synchronized paddlers, one drummer, and one steersperson race the canoes 500m down the river. Teams were guaranteed three races and had plenty of time to relax and socialize in between heats. Several teams held organized cheers and calisthenics — obvious attempts to intimidate any challengers. I didn’t participate, but had many friends on a few teams. If it comes back next year, I will certainly find a team to join and do my best. 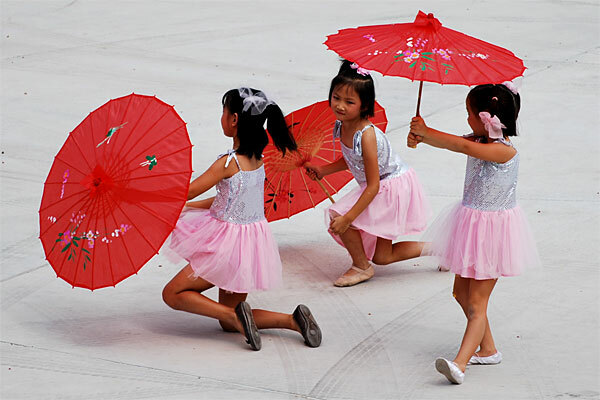 My kids enjoyed watching some of the dance teams, tai chi and karate exhibitions and explored the surroundings a little. We finally got to take in the view of the James River and the Richmond skyline from deck at the Boat House at the top of the Rocketts Landing development. 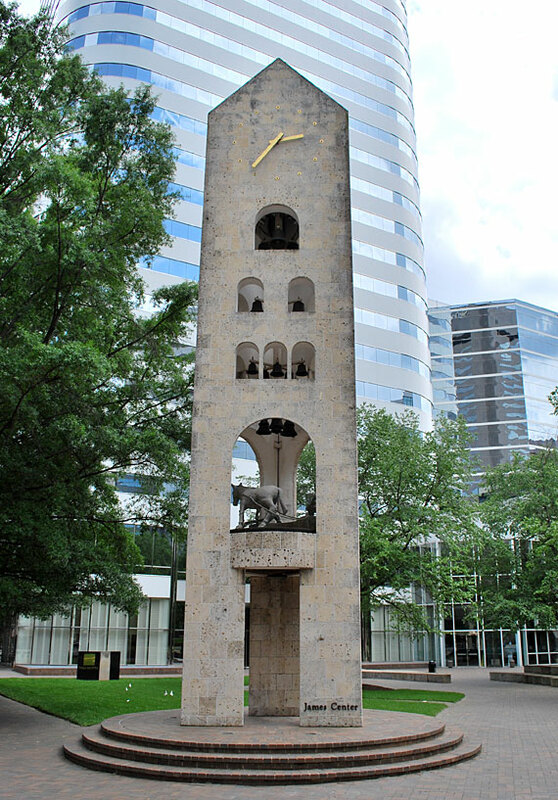 WHAT: “Boatman’s Tower” structure in James Center plaza in downtown Richmond, Virginia. LOCATION: 10th and Cary streets. ARTIST: (Crafted by) Koninkiijke Eijsbouts, Asten, Netherlands. 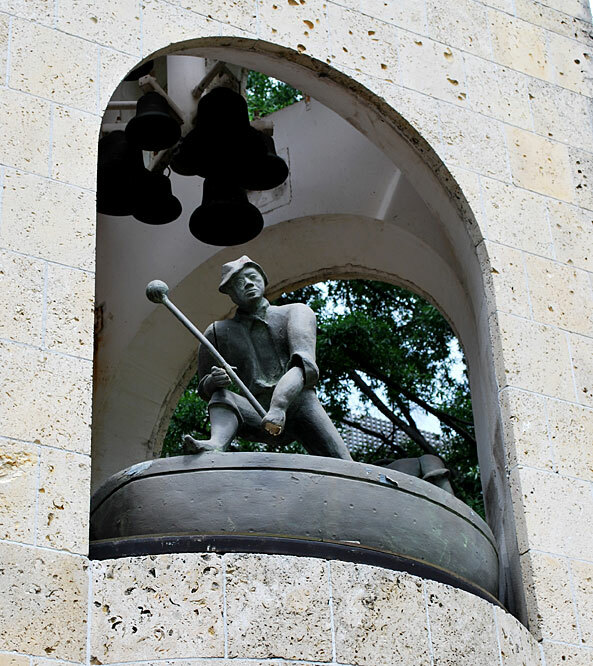 DESCRIPTION: A 45-foot limestone tower housing a 25-bell carillon and cast figures of bargemen and mules that rotates on the half hour to the tune of changing melodies. Designed as a tribute to canal life in 1785-1879. Most of what is now the James Center was occupied by the great Turning Basin of the James River and Kanawha Canal. Becoming an instant landmark, the Clock Tower welcomes both the casual visitor as well as the regular office population. A public amenity that is unique in its celebration of hours, seasons, and events, the Clock Tower depicts life on the canal from 1785 – 1879. The 45-foot limestone tower houses a 25 brass bell carillon which chimes melodies on the hour and half-hour. 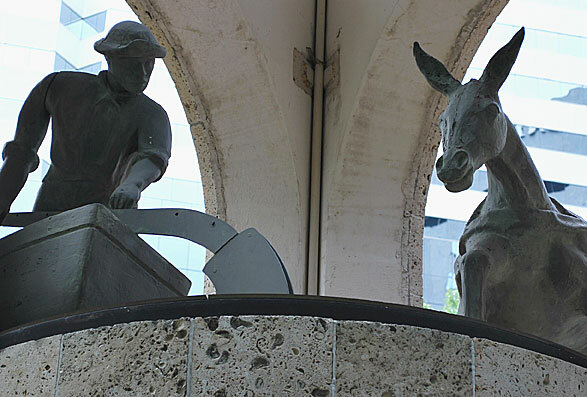 As the bells chime, cast figures of canal bargemen rotate. The carillon was fabricated by a Dutch concern whose glockenspiels have been animating European squares for years.